Singing – it’s the simple most important human instrument, but it’s too often overlooked in technology. 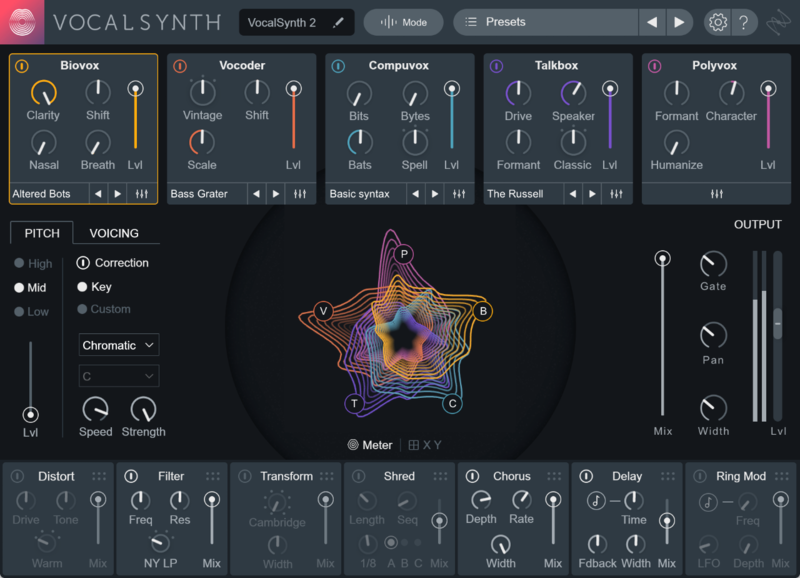 iZotope has doubled up on innovations there with Vocal Synth 2 – and in case you haven’t been keeping track, they’ve bundled all their production tools together into the new Creative Suite. It’s really, really good, but – the one thing I sort of expected when I first heard about the product was something like physical vocal modeling in the box. Now, sure enough, they’ve added just that. Biovox: A module for physical modeling of the human vocal track (with “science,” say iZotope), from nasality to formants. This isn’t something like Vocaloid – it’s not about voice synthesis or faking vocals – but in a way, it’s something more musically useful, a model of all the good stuff that happens inside your vocal tract and the resonant cavities in your head, delivered as an effect. That’s really important, because our perception is trained to take all this sort of nuance for granted. Chorus and Ring Mod effects. Yep, less futuristic than Biovox, but very essential. Integration with other plug-ins. Since iZotope are selling their production stuff as a suite, they’ve also added the ability for Vocal Synth 2 to show up in Neutron 2’s Masking Meter and Visual Mixer, and in Tonal Balance Control. That means a nice chance to apply Vocal Synth where it does – and doesn’t – belong. I definitely will review this one soon; this stuff is very much up my alley, and a lot of yours’, I’m sure, too. Okay, those of us who also do design or video editing work may shudder and think of big monthly subscription fees from Adobe when we read those words but – don’t panic. There are of course equivalent suites for the other interest areas – an RX Suite for post production and correction/cleanup, plus the O2N2 Bundle that covers mixing and mastering, including the industry favorite Ozone.